Graph provides a way to discover how items in an Elasticsearch index are related. 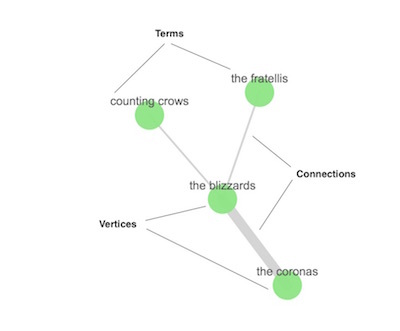 You can explore the connections between indexed terms and see which connections are the most meaningful. This can be useful in a variety of applications, from fraud detection to recommendation engines. For example, you might use Graph to uncover website vulnerabilities that hackers are targeting so you can harden your website. Or, you might provide Graph-based personalized recommendations to your e-commerce customers. 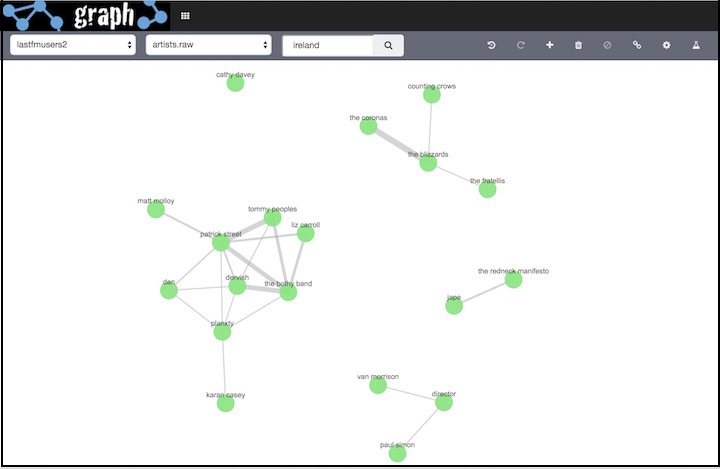 Graph consists of two components: an Elasticsearch plugin that provides a simple, yet powerful graph exploration API, and a Kibana plugin that provides an interactive Graph visualization tool. You can use Graph with your existing Elasticsearch indices—​simply install it and start exploring! Graph provides an alternative way to extract and summarize information about the documents and terms in your Elasticsearch index. 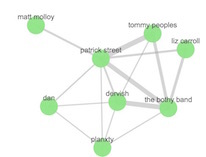 A graph is really just a network of related items. In our case, this means a network of related terms in the index. In the Graph API, the terms you want to include in the graph are called vertices. The relationship between any two vertices is a connection. The connection summarizes the documents that contain both vertices' terms. The beauty of Graph is that it works out of the box with existing Elasticsearch indices and doesn’t require you to store any additional data. How? The vertices are simply the terms that you’ve already indexed. The connections are derived on the fly using Elasticsearch aggregations. What’s more, Graph is able to identify the most meaningful connections by taking advantage of Elasticsearch relevance scoring. The same data structures and relevance ranking tools built into Elasticsearch to support text searches enable the Graph API to separate useful signals from the noise that is typical of most connected data. If users bought this type of gardening gloves, what other products might they be interested in? But what about performance, you ask? The Elasticsearch aggregation framework enables Graph to quickly summarize millions of documents as a single super-connection. Instead of retrieving every banking transaction between accounts A and B, Graph can derive a single connection that represents that relationship. And, of course, this summarization process works across multi-node clusters and scales with your Elasticsearch deployment. Advanced options let you control how Graph samples and summarizes the data. You can also set timeouts to prevent Graph queries from adversely affecting the cluster. The Graph plugin for Kibana lets you interactively explore connections within your data. This is a great way to get acquainted with what the Graph API has to offer. 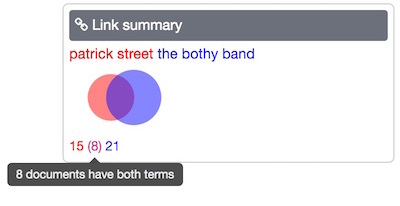 Enter a search query to discover relationships between terms in the selected field. By default, when you submit a search query Graph searches all available fields. You can constrain your search to a particular field using the Lucene query syntax. For example, country: ireland. To access advanced features such as visualizing connections across multiple fields and grouping vertices, click the Advanced button . 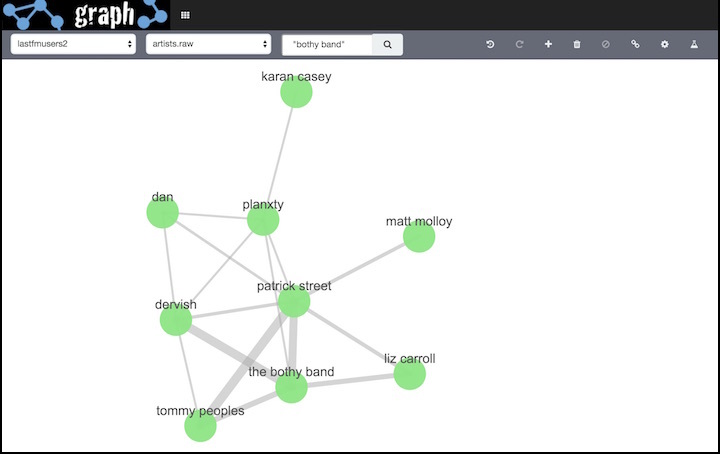 Install the Graph plugin and Kibana app to start exploring relationships in your data. Head over to our Graph Discussion Forum to share your experience, questions, and suggestions.